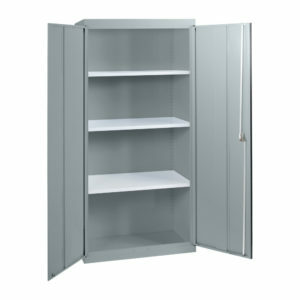 Fully welded cupboards comes with two opening doors and a 3 point locking mechanism for extra security. Finished in a large range of powder coated colour choices, these locally manufactured units are one of our most popular items. - 5 year warranty, - Durable powder Coated Finish.